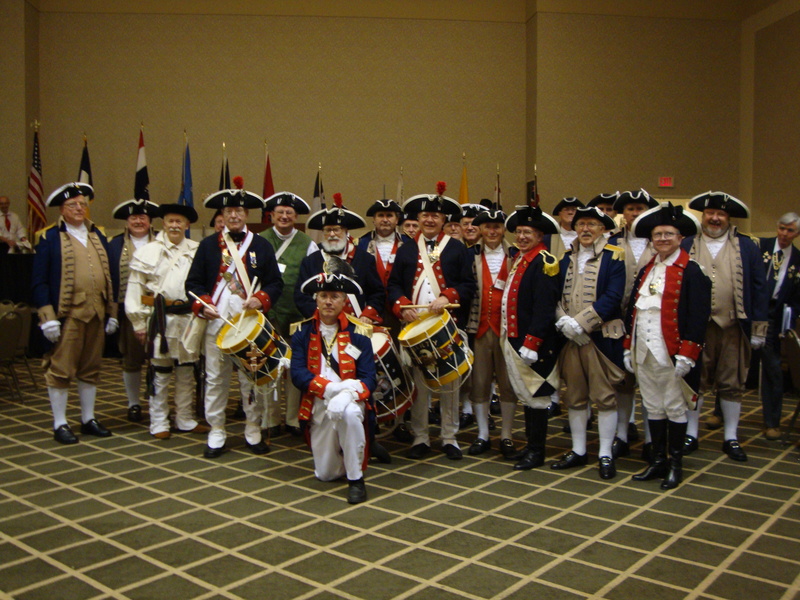 The South Central District Color Guard is shown here participating at the South Central District Annual Meeting at the Sheraton Overland Park Hotel, in Overland Park, Kansas on August 26-27, 2011. Left Photo (Front row): Martin KLotzback (KS), Glenn Fast outgoing SCD CG Commander (OK), Michael J. Tomme National CG Commander, (GA), Robert L. Grover (MO), Wayne Merrill (MO); and Russell DeVenny (MO). Left Photo (Back row): John Forbes (KS); Dewey Fry (KS); Robert Capps (KS); Jesse Lybarger (MO); Bob N. Capps, Incoming SCD CG Commander (KS); Dennis Nelson (KS); Edgar E. Grover (KS), Alvin L. Paris (MO), James L. Scott (MO); and Dirk A. Stapleton (MO). Right Photo (L-R): Dewey Fry (KS); Dennis Nelson (KS); John Forbes (KS); James L. Scott (MO); ? ; Phil Barbour KS; James Taylor TX; Gen Fast OK (Kneeling); Charles Goslin KS; Dirk A. Stapleton (MO); ?, Craig Dillavou KS; ?, Stuart Denslow OK, Alvin Paris (MO); Russell DeVenny (MO); Lyman Miller (KS); Martin KLotzback (KS); ? 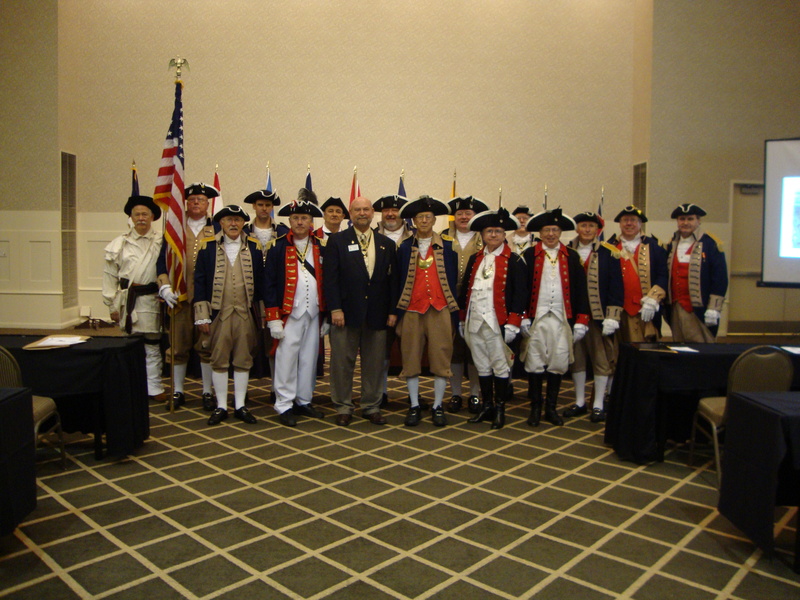 ; Robert Capps (KS); Richard Cox (KS); Wayne Merrill (MO); and Bob N. Capps, Incoming SCD CG Commander (KS).